Trouble seeing the message? View this email in your browser. As a reminder, I am doing office hours a little differently this year. I will present what community members have said previously and will hear your input going forward. I hope that it can be a conversation between neighbors and my office to craft priorities together. Copyright © 2017 Seattle City Council, All rights reserved. 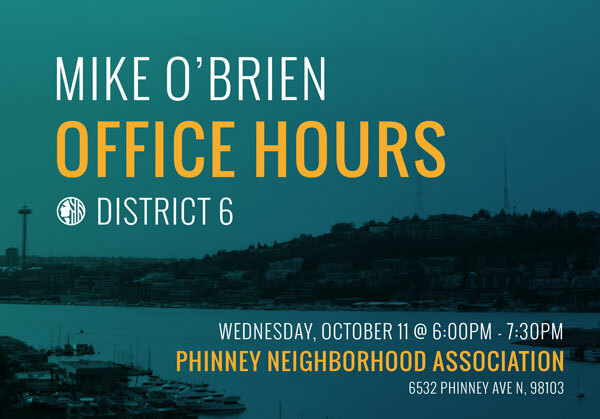 You signed up to receive updates from Councilmember Mike O'Brien. Thanks for staying in touch!